Places to see in Nachon: There is a nature park with flower beds, children’s park and gazebos adjacent to the bungalow which overlooks the lake. Just a minute’s walk along the lakeside would take you to the log gates and further to the nearby villages and paddy fields along the lakeside. The Sal forest area of Shyampur and its surrounding marshlands which is only a kilometer from here is frequented by different species of storks, cranes, commorants and water hens. 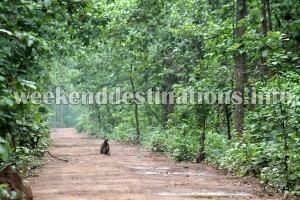 Nearby attractions of Nachon: Located within villages surrounded by forests, Nachan is just 20 kms. from the famous Garh Jungle. This dense Sal forest is guarded by the Ajoy River on one side where you would find the village of Kenduli – the birthplace of the great poet Jaidev. You can venture further into the jungle to discover the ruins of an ancient fortress (Garh) and the century-old brick built Deul of Icchai Ghosh in Shikhara style dedicated to Goddess Bhagabati. 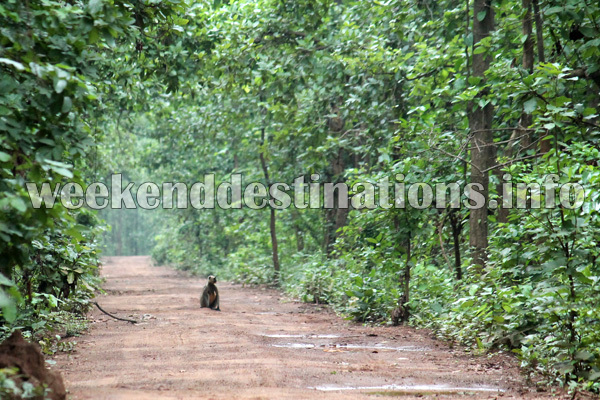 Apart from your jungle tour, you can visit Durgapur Barrage on River Damodar or a day trip to even Shantiniketan is also possible. Things to do at Nachan: You can take long morning walks along the lakeside or simply while your time watching the clouds floating over the Nachon Lake. The silence of the misty mornings is broken by the chirping of birds and few school kids from the villages would come down in the afternoons to frolic in the lake waters. 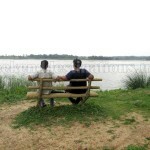 Apart from sightseeing in the surrounding jungles, bird watching in the nearby marshlands would be very rewarding too. 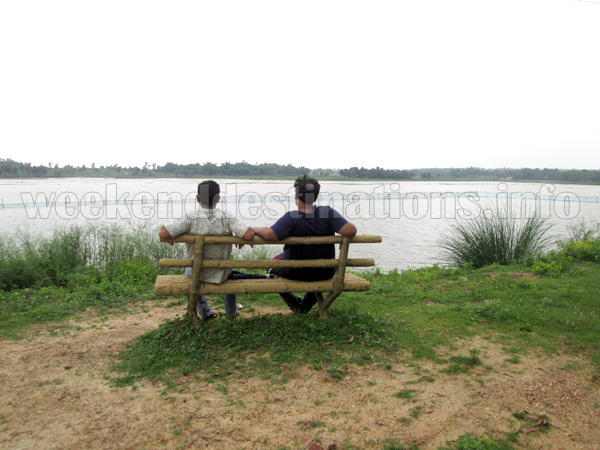 Guests can also enjoy boating in the Nachon Lake and picnics can also be arranged beside Durgapur Barrage. How to reach Nachan, Bardhaman: You can reach Nachan by car as well as by rail. The nearest rail station is Durgapur, which is around 22 kms. from Nachon. You can hire local taxis to reach Nachan from Durgapur Railway Station. Durgapur is also well connected by regular buses from Kolkata. If you are taking your own car, then take NH19 to Durgapur and then take the road towards Nachan from Durgapur. Kolkata to Nachan is Around 188 kms. via NH19. Lodging and dining facilities at Nachan Nature Bungalow: Staying at Nachan Nature Bungalow is for the adventure lovers only. The full guesthouse is allotted to one single group only and the caretaker and cook are the mortal beings to look after the guests. Similar to staying in forest bungalows, the guests would need to do their own shopping for food supplies and hand it over to the cook, who would prepare the food accordingly. 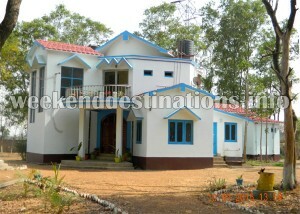 The bungalow is decked with all standard facilities like attached western bathrooms, electricity and spacious rooms with balconies overlooking the lake and gardens. 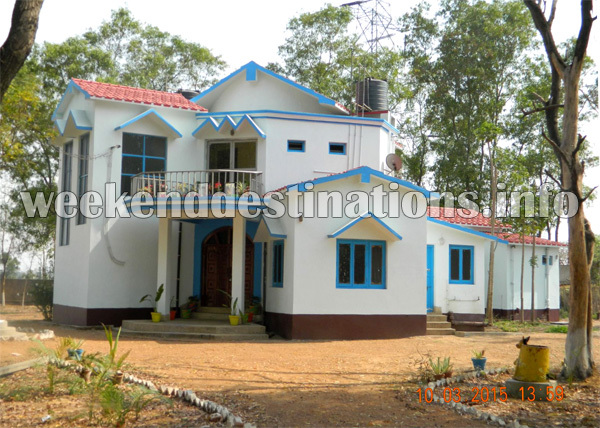 If you are really trying hard to find some place near Kolkata which can pump up your adrenaline, then some nights at Nachon Village Guesthouse and a visit to nearby Garh jungle can work for you.